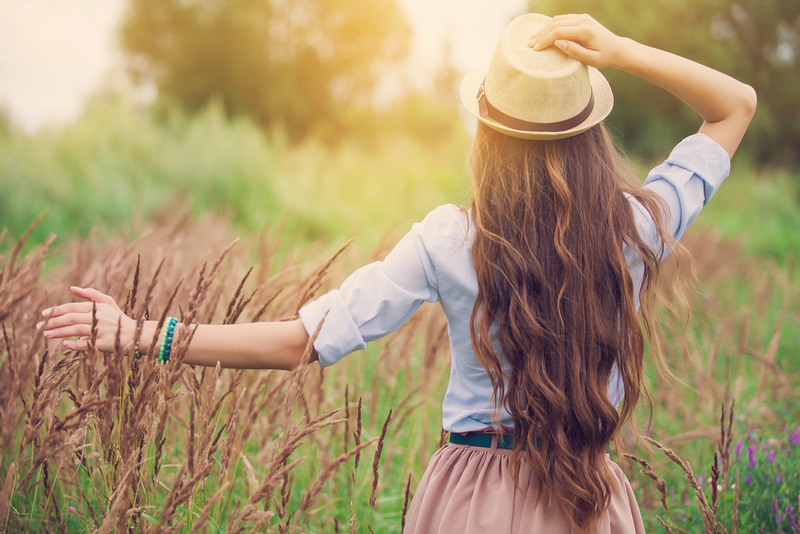 Long hair is fun, pretty, and sassy, but it takes forever to grow out and can be a pain to keep healthy. Let’s talk about the best ways to grow it long and keep it long. These are a definite must. Vitamins not only keep your body tickin’, they keep your hair growing too. Supplements like Biotin or generic brand Biotin, can help strengthen your hair, stimulate follicles for faster growth, as well as strengthen your nails. Biotin works by enhancing keratin production which is the protein that helps make both your hair and nails. Coconut oil is the world’s quick fix and miracle product! Bad hair day? Coconut oil can fix that. Using coconut oil as a deep conditioner can help strengthen ends and prevent breakage. If rubbed into the scalp, it is an all-natural way of stimulating hair follicles and promoting faster growth by helping to reduce and remove sebum build-up. The natural fatty acids coconut oil possesses nourish the scalp and even promote shine. You’re going to go nutty for this tip, trust me. Cut back on those products that chemically promise to smooth out your hair. They do temporarily take care of frizz, but they end up doing more harm than good. Natural is always best, so look for products that say, “sulfate free” on the bottle. Your hair will thank you. And while we’re on the subject of dry hair, stop washing your locks every day. Try some sulfate-free dry shampoo, and try to cut back the washing to at least every other day. I wash mine once a week and my hair has never been longer, or more moisturized. I was once a hair straightening queen, straight hair was my go-to and it didn’t matter that it took me an hour everyday to achieve my preferred style by using 400 degree heat. But one day it occurred to me that too much heat on my growing hair was not only frying my ends, but it was causing a lot of much damage. It was also forcing me to wake up an hour earlier than I needed, and ain’t nobody got time for that. If you must use a styling tool, turn the heat down about a hundred degrees. Your hair will thank you. It took me way too long to learn my hair type, spoiler alert, it’s curly. But I insisted on needing shoulder length straight hair for years before I had a stylist take a look at my fried locks. She told me my hair was curly and that it wasn’t supposed to be cut so short. Once I had that information, I began experimenting with products meant for curly hair until I found the best ones for me. I never straighten my hair anymore and I have found that not only is my hair the longest and healthiest it’s ever been but I now also only need to wake up thirty minutes before I leave the house, still looking fabulous. Will You Benefit from a Keratin Smoothing Treatment?